A lot of union workers in DC have dangerous jobs, many are working in commercial construction, where the work is heavy duty, and there are a lot of trades on the job. And in most cases, there is no way to take the risk of being hurt on the job out of the work - that is how construction works. Richard was a long time union electrician, and as an electrician responsible for wiring, would often have to work overhead and in tight spaces as buildings were being built. When this electrician slipped from a ladder when he was working overhead, he immediately new something was wrong with his knee. He reported it to his supervisor right away (and texting is a good way to report an injury in DC because then you have a record of it). He tried to continue to work and walk on it but the knee just got worse - and this is common for knee injuries when you try to walk on the concrete or uneven surfaces of a construction site, you really feel it. Conservative treatment and physical therapy weren't working and after an MRI confirmed a tear, he underwent surgery to repair it. 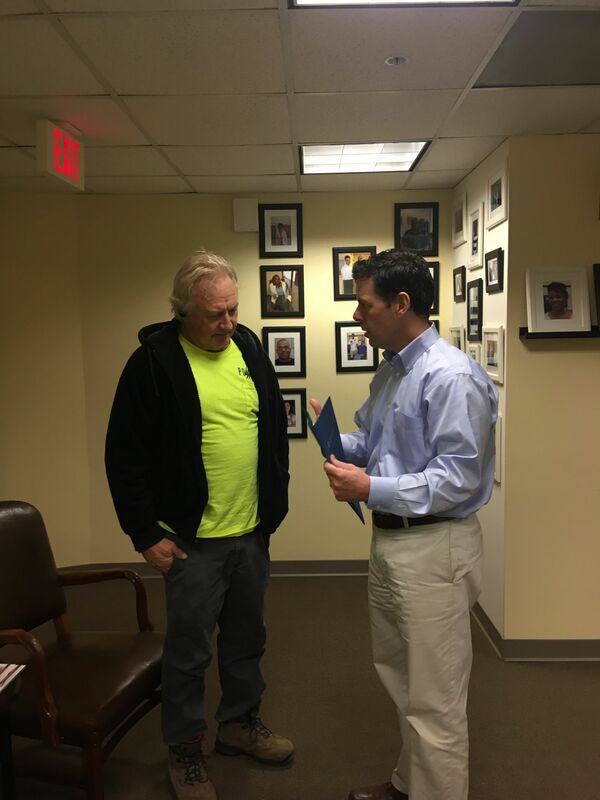 Even after rehab, it was clear he would have a permanent injury and we filed his case to get him everything he could in terms of DC workers comp benefits. We're glad to say that just before the hearing on the case, the insurance company agreed to a settlement. And our electrician is doing well - he is back to work in the trade now and doing great!